When Ty Dolla $ign and Jeremih first got together to create music for some of their friends, they didn’t know that they would end up producing 60 different tracks that they would instead claim for their own joint project, MihTy. Months later, fans would hear the offering’s first single, "The Light," which clearly blends the artists’s styles together by using fun snare beats, playful lyrics and a groovy chorus. It’s no surprise that the two eventually kept their creations to themselves, especially since Ty already has a track record of producing hit singles for an abundance of artists in both hip-hop and pop genres. His history of playing the bass guitar, drums, keyboards and six-strings have more than prepared him for a life of musical creativity. However, it wasn’t until Los Angeles rapper YG asked Ty to help him write and produce his 2010 single "Toot It And Boot It" that he would unlock the door to a a future of quality collaborations with plenty of favored artists. 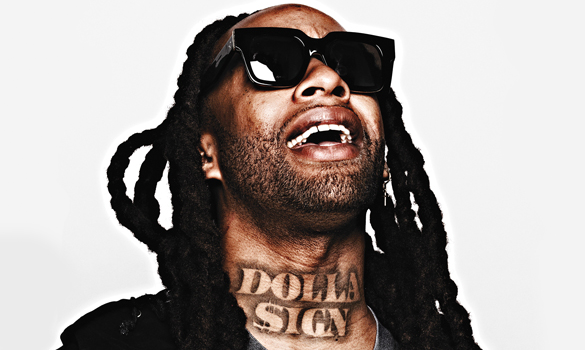 Today, Ty Dolla $ign’s voice can be heard on a number of radio chart-toppers, and if the song doesn’t necessarily include his vocals, he probably had something to do with the composition and production of it anyway. Artists like 2 Chainz, Chance The Rapper and Fifth Harmony have all included Ty in their works, but he’s nowhere near ready to stop collaborating. Recently, the rapper, writer and producer partnered with musicians like Kanye West and Kid Cudi to devise melodies for their Kids See Ghosts venture. Shortly after, he also helped Christina Aguilera maker her highly anticipated musical comeback with "Accelerate." It’s clear that Ty is a man of many talents, and as long as he continues to produce smash hits, we’ll continue to listen to them. If you’re itching for more of what Ty has to offer, check out our playlist featuring his most demanded collaborations below.